Nursery Computer Clubs - Click IT! To sustain your innovative approach, it’s important that your nursery offers a breadth of services – whilst responding to the rapidly changing technological environment. The range and increased access to computer devices has resulted in children taking up computer activities at a younger age and we all know how much children love technology! Allows you to focus on your main job – we provide specialist ICT tutors with “ready to run” planned lessons. Your nursery’s competitiveness – 16 years’ experience is a clear endorsement that parents want our service. You become part of a popular computer club – we teach over 2,000 children every week. You can boast a 1:3 ratio – a critical success factor of our service and differs from other providers. Tailored lesson plans for every child – we are one of very few clubs to offer this and progressive learning. Further EYFS nursery activity – We provide EYFS inline lesson plans – at the core of your nursery’s activities. You can easily document evidence of learning – we provide full feedback via weekly observations and reports. You avoid expensive equipment or inappropriate software – we investment in latest devices and relevant (age suitable) software. You gain a trustworthy and reputable partner – well-known, established reputable company. You can tap into flexible payment plans – either: all inclusive, part funded or parent pays. All helping to increase numbers at your nursery. 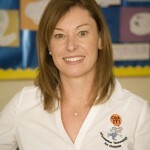 To talk to us about provision in your nursery please contact Wendy Petersen here. “The parents and children are delighted with the Click IT! team. The children are gaining so many valuable experiences through well presented and organised lesson plans. Every child is catered for and the knowledge they gain from individual attention clearly shows they are developing their ICT skills. Harsha has fantastic natural ability with the children and even timid individuals feel secure and happy to be with her. Nursery Manager, The Rocking Horse Nursery, Finchley Central, Barnet.